Nobody Stands Alone! 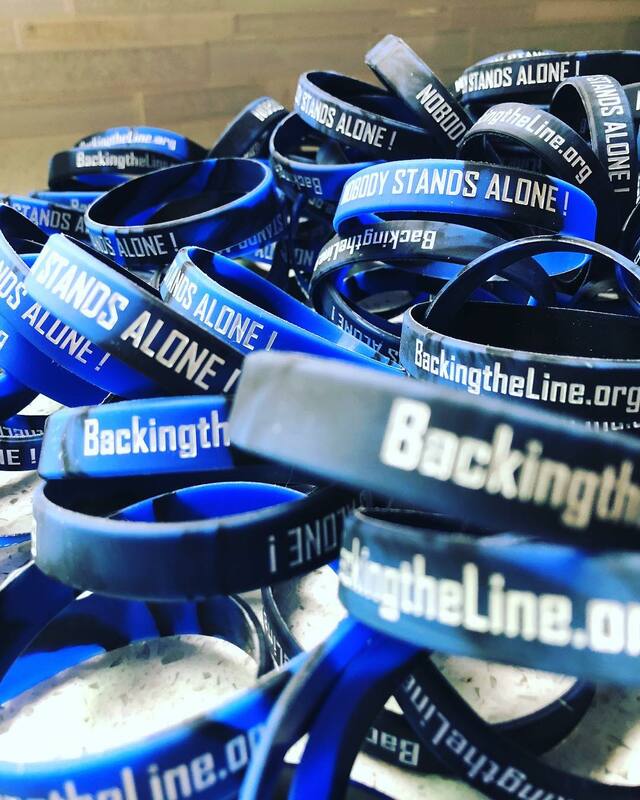 – Backing the Line, Inc.
Our BtL bracelets are a huge hit everywhere we go. We LOVE sharing our mission with anybody who will listen. First Responders, their friends and families all LOVE our bracelets. But beyond that, are the many people all over the nation who PROUDLY wear our bracelets! Kids, adults, professionals, students…etc….NOBODY STANDS ALONE! Ready for a BtL bracelet? Click on our “Contact Us” page and give us your address in the big box. We’ll send it right out!